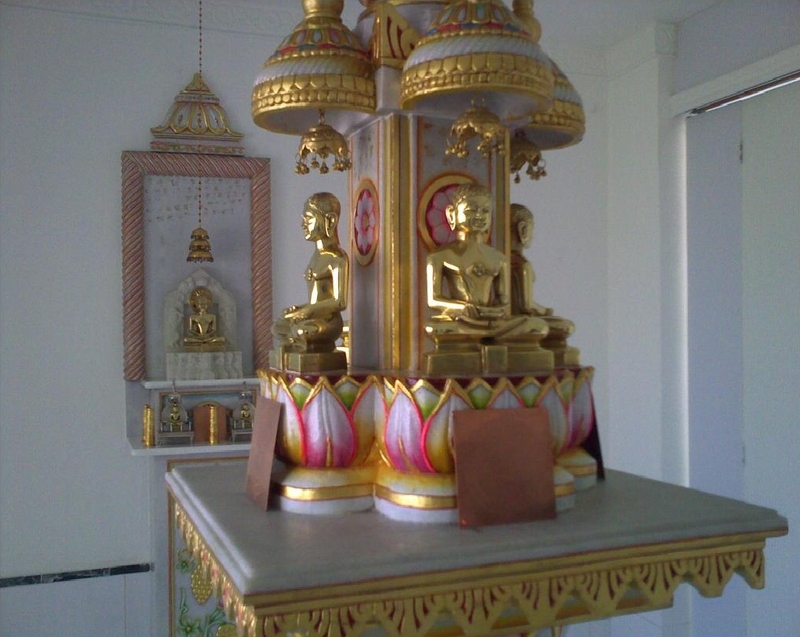 Jains have been living in Bangkok for past several decades. There are over 600 Jain families living in Thailand, mostly in Bangkok. Out of these, about 100 are Digamber Jain families and the rest are Shwetambers. Majority of the Jains are in the Gems and Jewelry business though some are in the Engineering, IT and Accounting profession as well. Shwetambers had built their Derasar Ji few years ago and most of the Jains were visiting the Derasar Ji for Dev Darshan and all were celebrating the Jain festivals together. Few more Derasars have been built since then in other localities where few Jain families live together. It was always felt by Digamber Jains that they shall have their own Jinalay where they can perform Prakshalan, Poojan etc. as per Digamber traditions but due to seemingly small no. of families, Samaj probably could not do so for quite some time. Then in April 2004, Shri Nirmal Kumar Ji Sethi, President of All India Digamber Jain Mahasabha, visited Bangkok and he inspired us to form Digamber Jains' Association and construct a Jinalay for Digamber Jains living in Bangkok. At that time there were only 12­15 known Digamber Jain families. These members then got together & started search for other Digamber Jains living in Bangkok and soon the no. increased to 60-70 families. Presently over 100 families living in Bangkok and vicinity have registered their names. Few members then volunteered to form Digamber Jain Federation. One of the committee members brought a Pratishthit Shri 1008 Mahavir's Panchdhatu Jin Bimb (which is now our Mulnayak Ji) from Kishangarh while one of the other committee members graciously offered a room in his office in Bangkok Gems and Jewelry Tower in Suriwong area for the sthapana of this Shri 1008 Mahavir's Jin Bimb. This was the auspicious beginning for Digamber Jains as now they had their own place of worship. The committee members then started collecting funds for the purchase of Jinalay building. 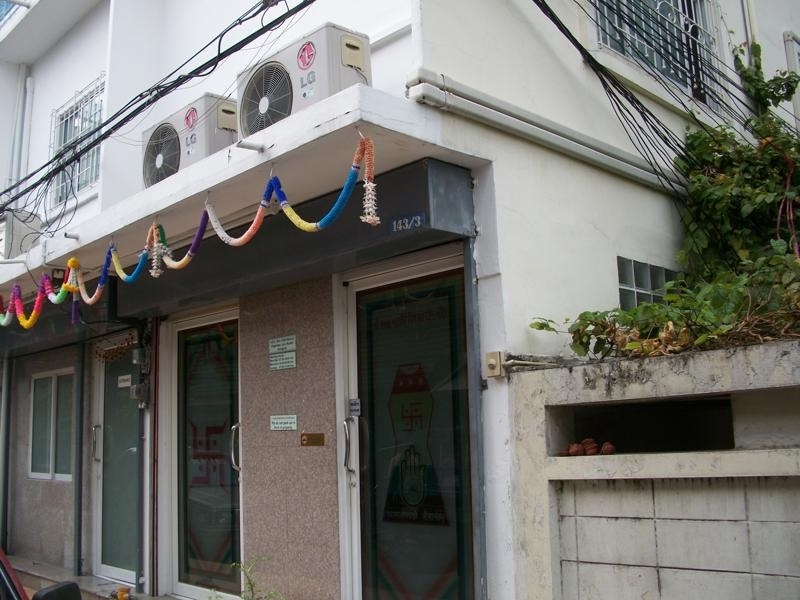 All Samaj members donated wholeheartedly to have enough funds for the purchase of a 3 storey shop house building, house # 143/3, near K. Building Apartment, Soi Putha Osoth, off Maha Set Road, Suriwongse, Bangkok. The Jin Bimb was moved to this property on the auspicious day of Anant Chaudas, 6th September 2006. Committee members then got Digambar Jain Foundation (DJF) registered on 23rd May 2007 and the Jinalay property was then transferred in DJF name on 19th July 2007. The Chaturdig Stambh was installed in April '08. 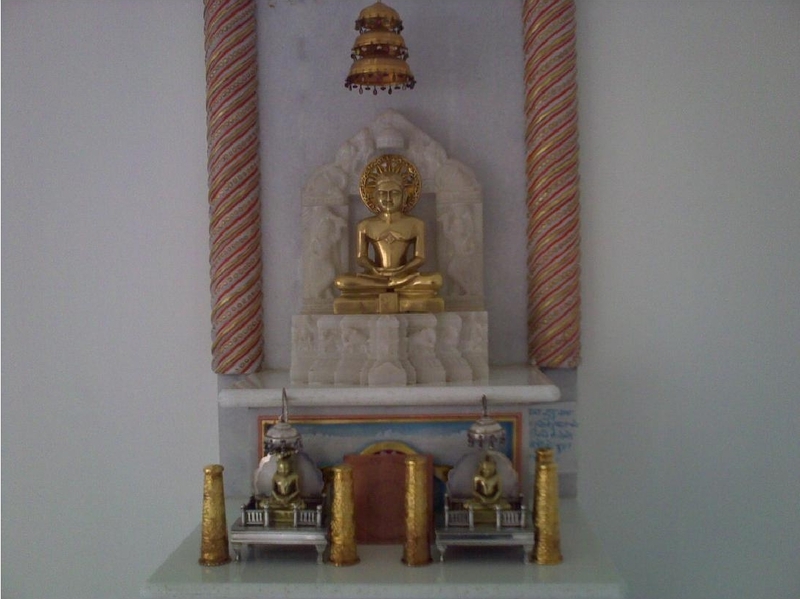 All four Jin Bimbs on the Chaturdig Stambh are also of Shri 1008 Lord Mahaveer. DJF is an independent Organization even though it has affiliation with some leading Digamber Jain Associations and social groups In India. Initially Samaj had only one shop house which was purchased under DJF. 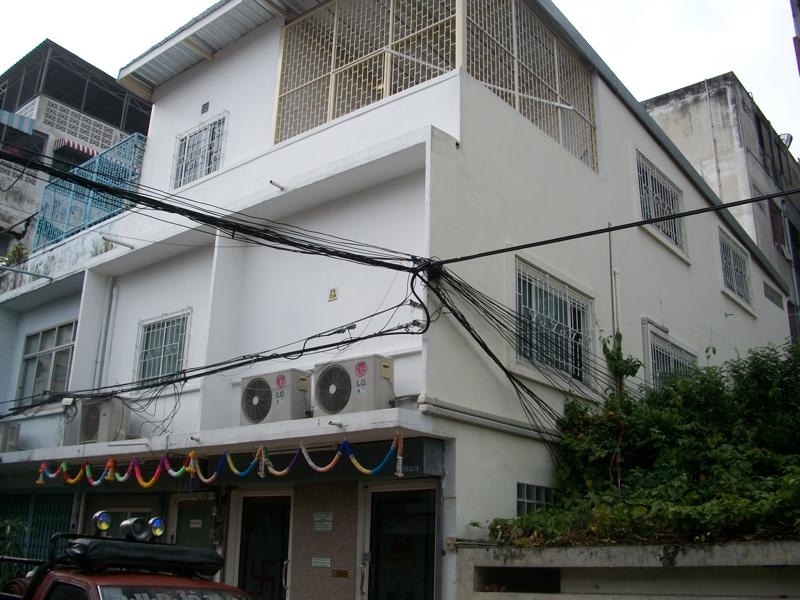 In year 2009, the Jinalay was expanded in to adjoining (rented) property making a bigger prayer hall. The Jin Bimb (statue) and prayer hall are located on the 2nd Floor. Ground floor now contains a store room, 2 shower rooms, a toilet & open hall area. 3rd Floor is an open hall for Swadhyaya. This present space is adequate for the current size of Digamber Jain community. It was a truly a historical and memorable event and we all Jains are proud to have their own "Shri 1008 Mahavir Digamber Jain Mandir" in Bangkok and it is in deed a milestone for the growth of Jainism in Thailand. The existence of Jinalay has certainly made it possible for many Samaj members to bring their parents and relatives who had hardly visited Bangkok earlier (mainly due to their vow of not to eat any thing before Dev Darshan. Many tour operators who bring Digamber Jain groups to Bangkok have Jinalay visit & Poojan as one of the attractions on their itinerary. Each year DJF invites a learned Pandit Ji and 2 Musicians from India to celebrate Das Lakshan Maha Parv with full devotion. Members also celebrate Shri 1008 Mahaveer's Janm and Nirvaan Kalyanak; Shrut Panchami; Sugandh Dashmi; Ashtanhika Maha Parv; Siddha Chakra Maha Mandal Pooja & Vidhan; Shri Nandeeshwar Dweep Vidhan etc. with equal devotion. DJF has taken up Aahar Daan project at Sammed Shikharji by committing a certain monthly amount for next 5 years to provide Aahar to Vratis and Muni Shris. DJF has also paid for the construction of a room at Sammed Shikharji where daily shudh Aahar is prepared for 10-15 Vratis. DJF also arranges other activities like: Gau (cow) Daan- by saving cows from slaughter houses and sending them to Royally sponsored shelters; visit to orphanage to donate medicines, clothes and goods for the better health and education of underprivileged children and for the elders. DJF also organized Ayurveda Camp last year. 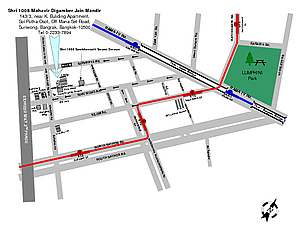 DJF also arranges social gatherings & picnic etc. A weekly Jain Pathshala is run by DJF Pujariji & Mahila Mandal members for kids. 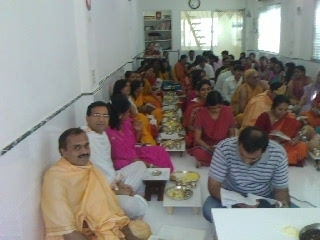 Some members also gather at Jinalay every week for the Namokar Maha Mantra Jaap. DJF also organizes Blood donation camp in the December month of each year to pay homage to H. M. the King who is very much revered by Thai people. DJF is also proud to have sent 6 Thai post-graduate scholars so far to India during 2006­2010 to attend 2 months' intensive summer course organized by Dr. Shugan Jain, Director, ISJS (International School for Jain Studies, India to study Jain Philosophy. These scholars are helping DJF in propagating Shri 1008 Mahaveer's teachings to students in various universities. One of the most important things is that this Jinalay is built entirely from the funds donated by Samaj members, however small or large, without any help from outsiders. One thing which DJF and its members are and will always be proud of is that there is no name engraved anywhere on the Jinalay floor and walls of any of the donors.